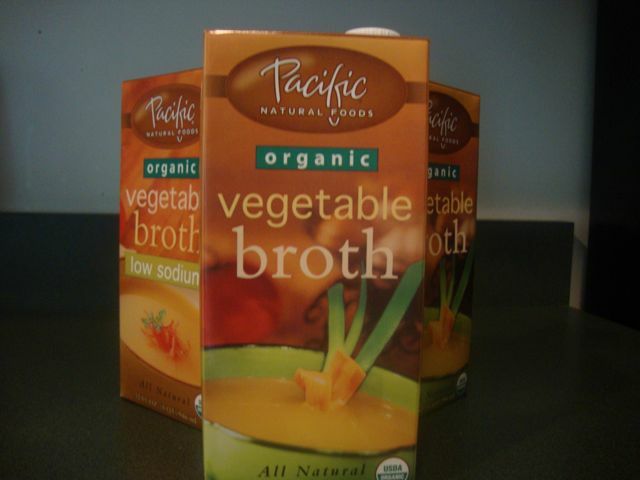 I like using vegetable broth in place of water to bring out more flavors in my recipes. I often pick up a few boxes at the grocery store, but it can get quite expensive at nearly $4 each. While at DC VegFest this past weekend, best selling vegan author, Isa Chandra Moskowitz mentioned she uses vegetable scraps to make vegetable broth. I chop vegetables daily, so I thought it was a great idea to reuse the scraps and save money. 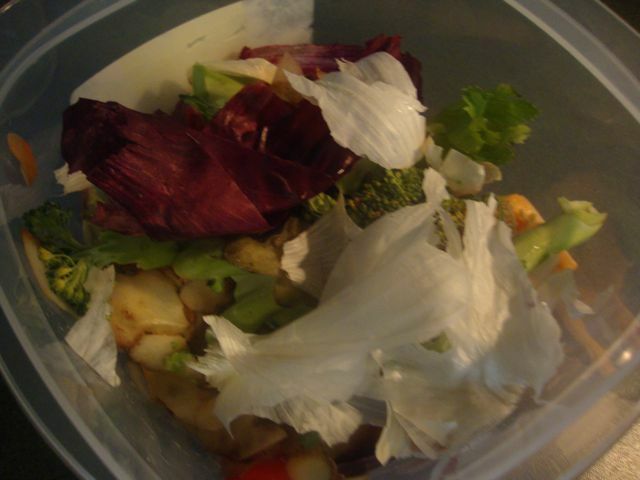 I saved my veggie scraps (including onion and garlic skins) in a plastic container for the last few days. I filled a pot with water on medium heat until boiling. Added the scraps, covered and boiled for 30 minutes. You can also add herbs and spices for additional flavor. I then drained the liquid and cooled it on the counter. Store in glass jars (or other containers) for up to a week in the refrigerator. Watch me make the vegetable broth in the video below.